The one place for all your internal on-demand and live streaming video. Secure. Scalable. Integrated. And Deeply Searchable. 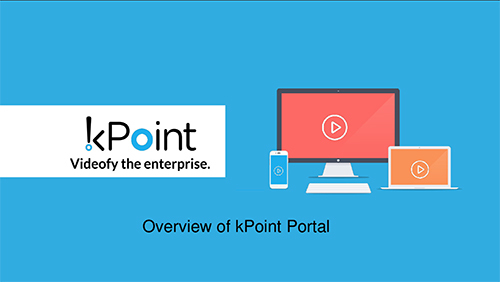 kPoint VideoCentral gives everything to use video at work in one place. Creators, viewers, and IT people get the interfaces they need. All the complexity of content security, device and video formats, smooth playback, and global scale are taken care of for you. And you will also know exactly what the viewers are doing. The broad portfolio of plug-and-play features make VideoCentral a fit for any organization that uses videos. Talk to our solutions team to identify the right use case and a champion in your organization. VideoCentral is not a big ticket, one size fits all solutions. Our solution expands as you use more videos on VideoCentral. Existing customers and partners get bulk of the revenue for most companies. Give them videos that go beyond sales content. Sales teams need to be armed with recent wins and product updates on the go. Add punch to their conversations with fresh snackable videos. Videos are the lifeblood on learning on demand everywhere. Whether you have one LMS or multiple learning portals, get the best-of-breed video tech from VideoCentral. Leaders today want to reach out via videos very frequently. Enable them anywhere and anytime. And let viewers engage their leaders directly via texting on the video timeline. When a business decides to videofy itself, IT needs to provide a painless, comprehensive, and flexible video platform to all. Solve this video content management challenge once and for all. Organizations need to leverage the millennials’ demand for visual communication. Give their mobile video the opportunity to create a hyper-engaged organization. Built for maximizing adoption of video. Deploy as a stand-alone video platform or into an ecosystem of other systems. Streaming Live is Now Just a Touch Away! What does VideoCentral do to keep my videos secure? VideoCentral uses multi layered security. It protects your data using access control layer, multi tenancy security layer and by leveraging AWS infrastructure security layer. Please contact us to get a detailed whitepaper on VideoCentral security. Why do I need VideoCentral when I have an enterprise app (say, an LMS) that can host videos? Videos are special type of objects which need sophisticated handling. Other enterprise apps such as LMS are not built for handling videos. 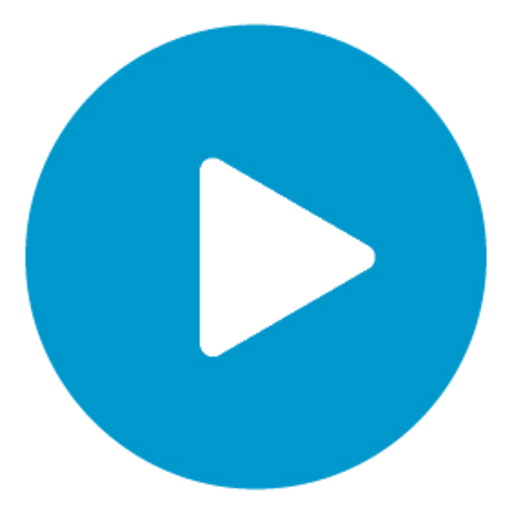 VideoCentral integrates with other applications to power video experience for them with multibitrate streaming, advanced security and fine grained analytics. Do I need VideoCentral when I already have a video platform? VideoCentral has certain unique capabilities which other video platforms may not have. Capabilities such as in-video search, interactivity widgets, Point of Presence server and corporate directory integration make VideoCentral most differentiated enterprise video platform. How does VideoCentral search work? VideoCentral search indexes all the knowledge in the video by using image analysis and spoken word analysis. Using these two technologies VideoCentral builds an index of all the important words in the video and their timings on the timeline to provide an in-video search experience for the viewer. Can I get VideoCentral on-premise? VideoCentral is a cloud native product. It utilizes many cloud functionalities such as dynamic storage and scaling. You can have hybrid deployment of VideoCentral with an on-premise Point of Presence server which works as an E-CDN. There is no on-premise only offering of VideoCentral.